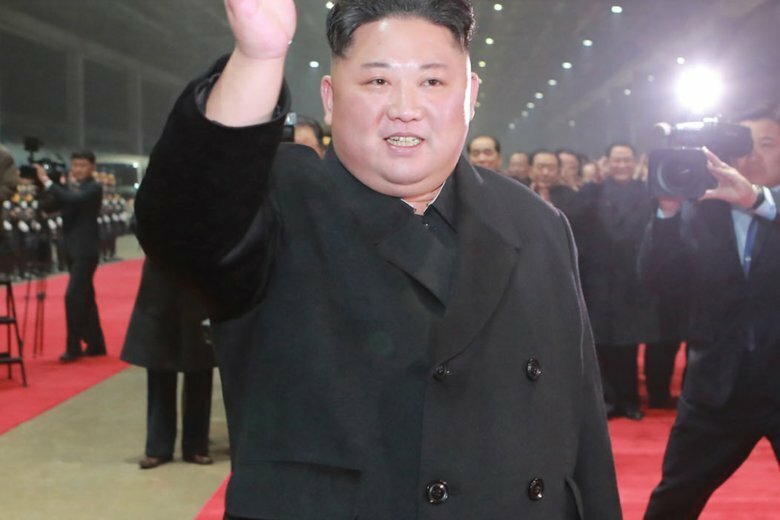 SEOUL, South Korea (AP) — North Korean leader Kim Jong Un returned home on Tuesday after traveling two and a half days by train from Vietnam, where his high-stakes nuclear summit with President Donald Trump ended without any agreement. The Kim-Trump summit broke down mainly because of disputes over the extent of sanctions relief the North could win in return for its nuclear disarmament steps. Both Washington and Pyongyang blame each other for the summit’s breakdown, but neither side says they would pull out of diplomacy. Kim received a salute from the head of the army’s honor guards and was presented with flowers from children. Senior officials also greeted Kim with “their ardent congratulations,” KCNA reported. The report briefly mentioned Kim’s summit with Trump but didn’t say the meeting failed to produce any agreement. The North’s main Rodong Sinmun newspaper previously reported that Kim and Trump had agreed to continue talks to resolve issues discussed in their Hanoi summit, but it also didn’t mention the lack of agreement in the summit. This story has been corrected to show Kim’s travel time by train was two and a half days, not one and a half.